Get a great rate on Mercedes-Benz vans by checking out our Mercedes-Benz offers below. Whether you’re looking to buy a Mercedes-Benz Sprinter, take advantage of Mercedes-Benz Metris specials around San Diego, or you’re looking for Mercedes-Benz Sprinter lease specials and Mercedes-Benz Metris lease specials, you’re bound to find what you’re looking for at Mercedes-Benz of El Cajon, a trusted dealer in greater Chula Vista. 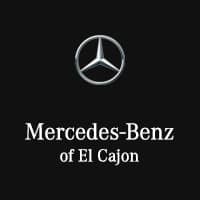 Why Choose Mercedes-Benz of El Cajon? At Mercedes-Benz of El Cajon, we offer the full-lineup of Mercedes-Benz vehicles at competitive prices, our financiers will ensure you take advantage of any national Mercedes-Benz specials and car dealer incentives, and with a long list of vehicle specials, you’re sure to find the Mercedes-Benz van you want at price that’s right for your budget. Use our online car payment calculator to get estimates on your monthly car payment and contact us to schedule your test-drive today.